Founded by Carl Augustin 1850 Weidmuller started out as C.A Weidmuller textile company in Reichenbrand Germany. In 1943 the world war imposed change in product range chief engineer Wilhelm Staffel designs terminals for AEG. Latter producing plastic insulated named SAK terminals with patented steel clamping yokes winning Mr Staffel the coveted Diesel Medal. Today Weidmuller is at the heart of most major industries where there’s electronics and electrical connectivity. Every year Weidmuler use 2,500 tons of copper, 4,500 tons of plastic, 4,000 tons of steel and 1,200.000,000 screws in the production of innovative electronics and connection technology. Weidmuller Partfinder > Finding it difficult to locate Weidmuller parts Buy Online or Call us full range available. 1943 War forces product change Wilhelm Staffel produces first Staffel terminals for AEG in Berlin. 1980 Weidmuller formed subsidiaries globally to actively connect to the future. The Weidmuller name stands for performance, competence and reliability – since 1850. 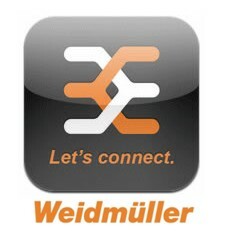 Weidmuller know the industries, the markets and the technologies. Weidmuller maintain close relationships and are a partner to our customers. And always have a finger on the pulse of time, most of the time are ahead of it. Weidmuller use know – how for innovative solutions as an answer to the challenges of today or maybe even tomorrow. Electroquip has over 25yrs experience selling Weidmuller Terminals, Weidmuller Enclosures, Klippon Enclosures and Terminals, Weidmuller Industrial Ethernet products . We offer free technical advice and are market leaders in the supply of Weidmuller products and systems. To find out more about Weidmuler, Klippon The History of Weidmuller and Klippon the latest news and articles relating to how we can meet your demands - Look no further You're in the right place Electroquip are here to help you with all your electronic requirements. From complex turnkey Industrial Ethernet systems, Industrial Switches, Media converters, Signal Converters, Surge Protection to Weidmuller Terminals, PCB Terminals, Stud Terminals, Enclosures, terminal Boxes, power supplies, DIN Rail and Weidmuller Tools . Volume discounts - we may be able to structure special discounts if you intend purchasing in bulk and as an authorized Weidmuller Distributor and Klippon Distributor you will benefit from an exceptional customer service and fastest delivery options (same day /next day) for most of your requirements.